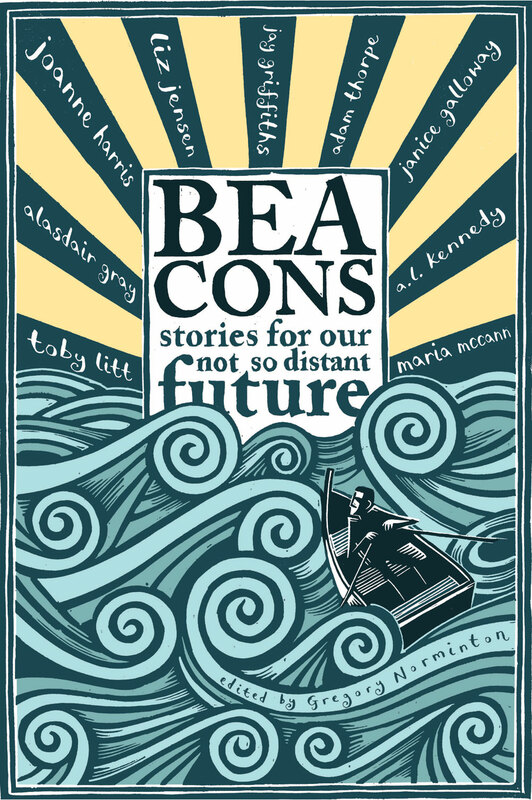 Beacons is a beautifully produced and vividly written collection of stories on the theme of climate change, published by Oneworld and put together by contributing editor and creative writing tutor at Manchester Metropolitan university, Gregory Norminton. At times the stories collected here make for scary reading, especially when seen in the context of the rise of ‘extreme weather’. Unusual weather events from unseasonal snowfall to extreme high temperature, from flood to severe drought, have led to people losing their homes, their livelihoods, or even their lives. It is in the nature of news media, coupled with the geographic spread of the regions impacted, that such incidents are reported as and when they occur, rather than collectively. But given their increased frequency it has become almost impossible not to take seriously the concerns expressed by scientists, politicians, insurers and planners about global climate change. When it comes to the need to modify the habits of a lifetime, fiction has a unique role to play in helping people to imagine (and perhaps to shape) our shared future. Liz Jensen, author of eco-thriller ‘The Rapture’ among other novels, delivers a chilling story. Her tween narrator’s energetic voice seems more than capable of coping with the horrendous climate change-induced world in which he lives. Unintentionally, perhaps, ‘Mother Moon’s Job’ almost makes you feel that no matter how bad it gets, the next generation of humans will somehow adapt when climates gets tough. But for many, it is not an adaptation that we would choose to make. Adam Marek’s offering reads a little like the script for a certain time-travelling doctor, but is none the worse for it. His Doctor Who type character usefully brings inter planetary travel (and a sense of humour) to bear on the usual ‘do something vs. do nothing’ debate about climate change. I could nearly quote the whole of Galloway’s story as it is so perfectly written, but why not encourage you to buy your own copy instead? Especially when all author royalties from Beacons go to the Stop Climate Chaos Coalition, a group of people united by their desire to limit climate change and its impact on the world’s poorest people. If the £8.99 price tag is a barrier, single stories in the collection can be downloaded to your e-reader for £0.75 a pop, direct from publisher Oneworld. Among them are stories by Alisdair Gray, AL Kennedy, Adam Thorpe, Maria McCann, Rodge Glass, Joanne Harris and recent Frank O’Connor prize-winner David Constantine. All in all a fascinating collection, and really well put together. This collection sounds like a must read for me. Great roll call there. I’m just reading Adam Marek’s The Stone Thrower and enjoying it greatly, so pleased to see his name on that list, too.